First announced over five years ago, ex-Google engineer Kent Overstreet is pleasured in announcing the general availability of a new open-source file-system for Linux, called the Bcache File System (or Bcachefs). Bcachefs is a Linux kernel block layer cache that aims at offering a speedier and more advanced way of storing data on servers. 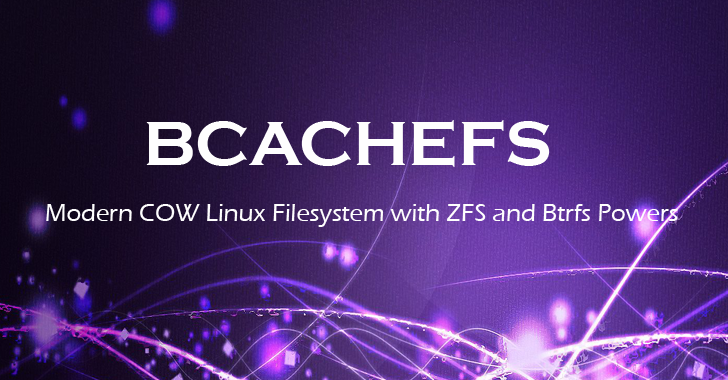 Bcachefs promises to provide the same performance and reliability as the consecrated EXT4 and XFS file systems while having features of the ZFS and Btrfs file systems. However, in the future, Bcachefs will support all the advanced features, including Snapshots that allow the operating system to automatically make backups of data. So far, The Bcachefs on-disk format has not been finalized, and the code is not ready for the Linux kernel. The initial performance results are okay and "It probably won't eat your data – but no promises," Overstreet said in an e-mail to the Linux Kernel Mailing List late Thursday. For trying out Bcachefs for yourself, you can grab the code from here. But, do not expect 'completed' code anytime soon, as Overstreet warns that "Bcachefs won't be done in a month (or a year)." So we recommend you to wait a little longer. For more details about Bcachefs and its current limitations, you can go here to read its official announcement.